For the eighth time, innovations in the bicycle industry will be awarded by Eurobike. 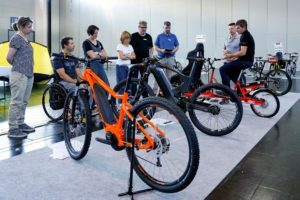 Organized by Messe Friedrichshafen and iF-Design, the Eurobike Award event is again part of the Eurobike show that starts this summer on August 29. FRIEDRICHSHAFEN, Germany – For the eighth time, innovations in the bicycle industry will be awarded by Eurobike. 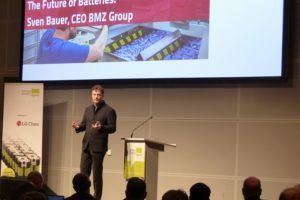 Organized by Messe Friedrichshafen and iF-Design, the Eurobike Award event is again part of the Eurobike show that starts this summer on August 29. Exhibitors and non-exhibitors of the Eurobike Show are invited to sign up their product innovations for the competition. The entries should have outstanding quality and innovation levels and have a high design standard. 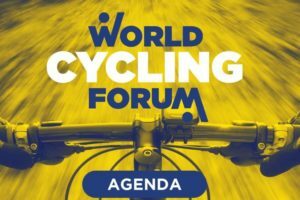 It is possible to submit in the following categories: mountain bike, cross bike, road race bike, urban bike, specialized bike, e-bike/pedelec, clothing, parts & components and accessories. The jury will meet on 14 and 15 August 2012 in Hannover to select the Gold award winners. These Gold award winners are regarded the most innovative contributions to the Eurobike Award 2012. 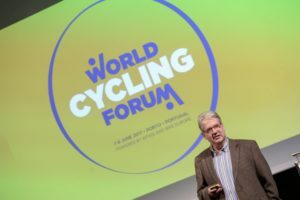 The winners will be honoured at an official award ceremony on 29 August 2012, the first day of Eurobike in Friedrichshafen, on the fashion show stage in the foyer East. All winning products will be on display during the show from 29th August to 1 September 2012 in the West Foyer. For more information: www.ifdesign.de. 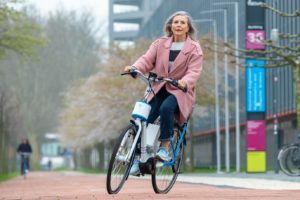 This year Messe Friedrichshafen expects some 1,200 companies to exhibit, as well as 40,000 trade visitors from over 100 countries, 20,000 consumers interested in cycling and nearly 2000 journalists.